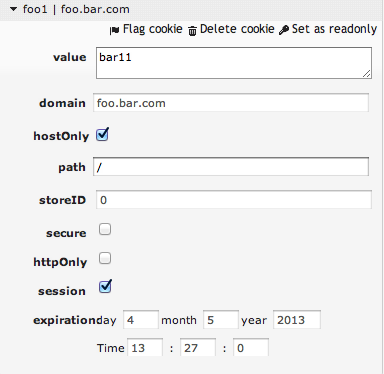 This code clearly sets the two COOKIE values with the names foo and foo1. The main question is: what are a domain and the flags? As we can see, the server does not say anything about the domain or the flags. Then the question goes to another area. Which domain and flags are selected by a browser for this header? It’s very sad, but on the other hand it is funny. 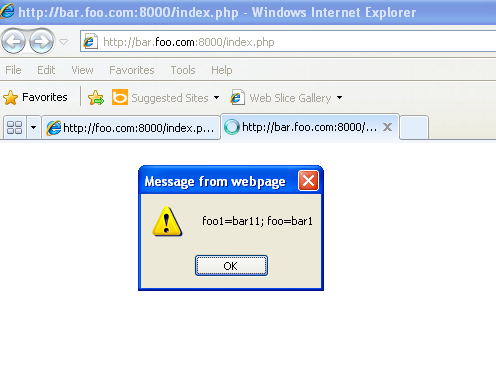 Internet Explorer sets foo=bar for ALL subdomains, namely in my example *.foo.com does not have any flags, such as httpOnly. 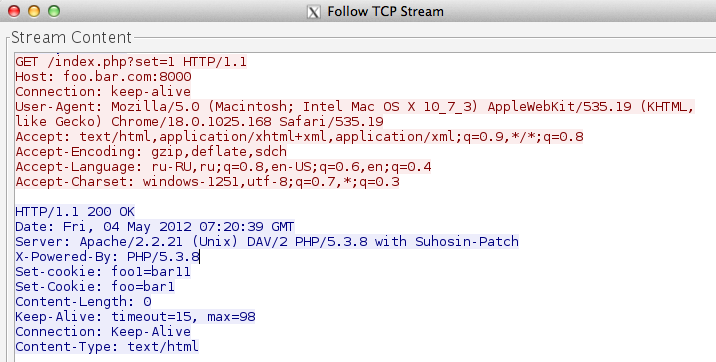 The attacker has to find XSS on any subdomain of the target host, which is very easy to implement in practice. So what about other browsers? In the case when the client uses Internet Explorer (8-9), the COOKIE is set for ALL subdomains.